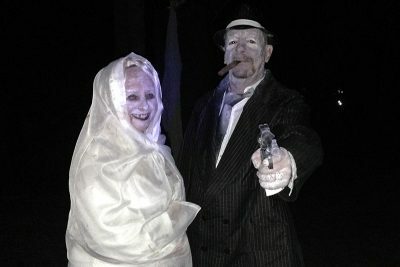 Apparitions like these are set to appear Oct. 28 during the Little Manatee River State Park’s Spirits of the River fall celebration. 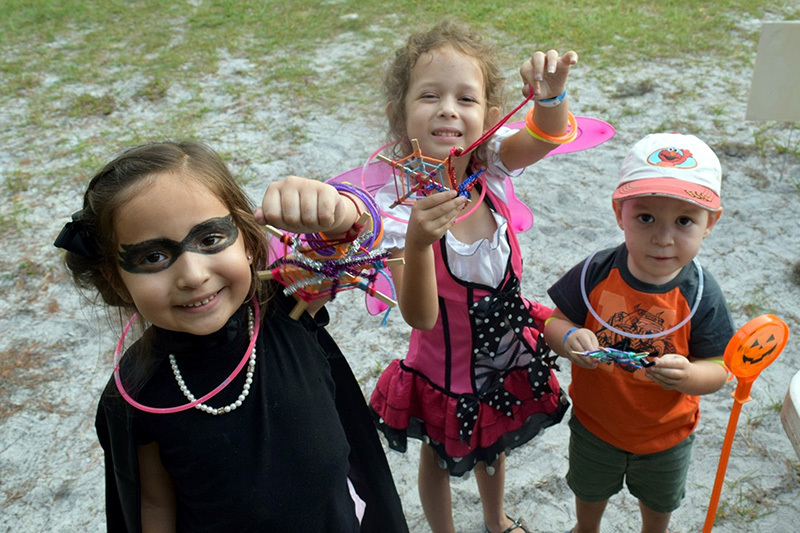 The Little Manatee River State Park is offering something a bit different for kids and teens to do Halloween weekend with its Spirits of the River fall celebration Oct. 28. The fun will include a guided tour through the woods to a haunted shack by the Little Manatee River set to a theme of old moonshiners, Ybor City gangsters and 1920s country folk. Last year 300 people attended the event, which this year will take place from 4 to 9 p.m. at 215 Lightfoot Road, Wimauma. Starting at 4 p.m., children 12 and younger can take part in arts and crafts activities like building a bat or spider and web and games like tossing a witch’s ring or navigating a spider’s web without losing their grip. Once they’ve finished all the activities and have had them punched on their activity cards, they can go “fishing” for a prize. Costumes are optional. Kids and their families also will be offered festive tram rides through the campground, where campers have decorated their sites. They can make s’mores around a campfire, gather for a drum circle and have dinner with friends in the park’s main picnic area. Families are asked to bring their own drums or other musical instruments and some of their favorite picnic foods and meats to grill, if they wish. Tables and park grills will be available for shared use, but visitors may bring their own. Food will be sold by the Friends of the Little Manatee State Park, with all proceeds going toward park projects and future events. time. Rangers and volunteers have been busy setting up the scene to “summon the spirits frequenting the river and bring alive old Florida tales of intrigue,” said Ranger Kate Smithson, park services specialist. The evening’s woods tours are intended to be both mysterious and unexpected. Park staff, volunteers and members of the Florida Conservation Corps will guide visitors through the darkened woods, telling stories about how spirits came to rest at the Little Manatee River, Smithson said. Younger children like these kids from last year’s fall celebration event are invited to participate in a number of games and arts and crafts activities, make s’mores and take festive tram rides through the park. Admission is $5 per person for anyone 13 and older, $2 for children ages 6 to 12 and free for kids younger than 6. Each admission includes the park’s normal gate fee. The Little Manatee River State Park is open from 8 a.m. to sunset, 365 days a year. For more information on the site or its programs, call 813-671-5005.